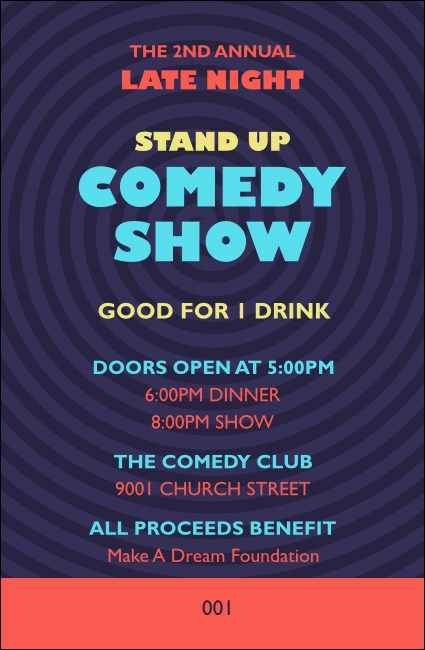 Let your guests grab a drink in between laughs when you give them Comedy Spirals Drink Tickets for your next show. Each ticket features a unique, dark-colored spiral design with a strip of red beneath it. Keep your event secure with sequential numbering and add up to thirteen lines of colorful text. Find the right ticket for your sense of humor at TicketPrinting.com.